The Environmental Biogeochemistry Laboratory (EBL) focuses research on biogeochemical processes revolving around phosphorus (P) under three axes- P as an essential nutrient for all living beings, P as a contaminant to open waters, and P as a biocidal agent (e.g., herbicide). EBL research is carried over a trillion-fold scale range, from chemical bond formation/cleavage to micro-macro scale processes in soil and sediment and to landscape and ecosystem processes. 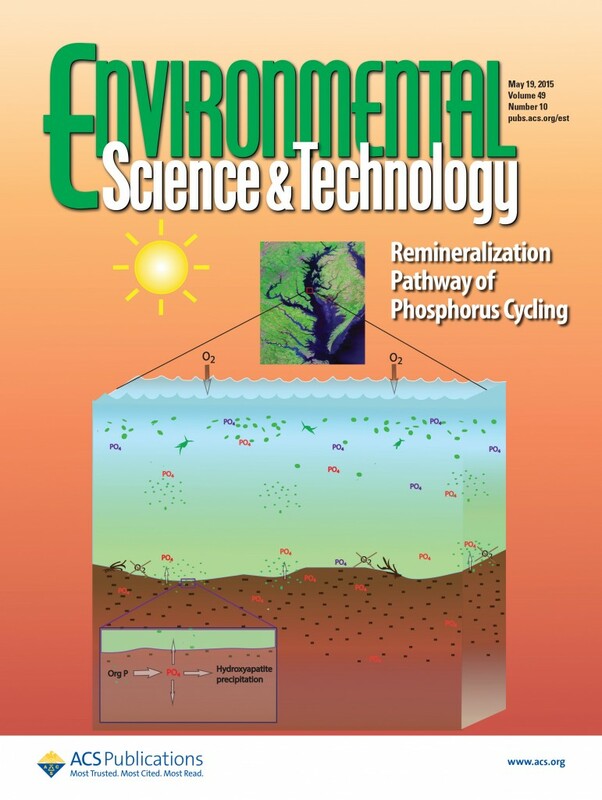 The ecosystem-scale research seeks to address questions on source, sink, transformation, and internal cycling of phosphorus in terrestrial and coastal environments. Phosphorus (P) is a key nutrient for all life forms irrespective of physiological uptake mechanism or metabolic pathway. It is also one of the most scarce nutrients in terms of its demand in both terrestrial and aquatic environments due to typically low concentrations of dissolved inorganic phosphate (micro- to submicro- molar range). While this is true for most natural environments, many agricultural lands, sewage contaminated aquifers, and water bodies near densely populated cities often have elevated concentrations of dissolved P. Because of the low stoichiometric need for P compared to other major nutrients (ca. 106C: 16N: 1P; Redfield ratio), small amounts of P addition can cause severe impacts on water quality in receiving catchments or groundwater aquifers and promote hypoxia and eutrophication. Understanding nutrient-soil interactions, however, is not straightforward for P particularly due to i) low concentration of dissolved P compared to soil/sediment P; ii) active but variable transformation of organic and inorganic P; iii) co-occurring biotic and abiotic reactions to sorb/desorb, dissolve/precipitate, and cycle P at various temporal and spatial scales; and iv) organisms’ variable strategies to uptake and cycle P at different concentrations and compositions of organic and inorganic P compounds. These complexities hamper better understanding of sources, cycling, and transformation of P in different forms, thus restrict formulation of effective guidelines for nutrient management plans that could lead to decreased P loss from soils to open waters. For instance, $24 billion was spent for conservation and preservation programs through the 2008 Farm Bill (and $57 billion is allocated in the 2014 Farm Bill), but the desired outcomes have not achieved in the Chesapeake Bay, Lake Erie, and Mississippi River. Stable isotope ratios of nutritional elements such as nitrogen (δ15N) and carbon (δ13C) and also oxygen (δ18O) in oxyanions of N and C have been classically used as a means to track nutrient sources and cycling. Isotopic composition of P oxyanion (δ18Op) can analogously be used as a: i) ‘tracer’ to disentangle specific biogeochemical reactions and interactions among different P pools, ii) ‘marker’ to distinguish different P sources, and iii) ‘integrator’ for different generations of P pools from source to sink. Yet, major scientific breakthroughs for the phosphate isotopic system are only beginning to emerge. Realistic expectations for such breakthroughs are tied to the specific properties of δ18Op values, which specifically include (i) in abiotic processes such as sorption, desorption, transport, and mineral transformation, phosphate does not undergo any significant changes in its O isotopic composition; and (ii) during biological processes, rapid O-isotope exchange between dissolved phosphate and water often results in complete isotope exchange and produces temperature-dependent equilibrium O-isotope fractionation Therefore δ18Op values of phosphate in biotic systems provide information about bioavailability, extent of biological uptake of specific P phases and its cycling between phases. Furthermore, unlike bioelements such as S and C that are characterized by kinetic fractionations, microbial metabolism of P compounds is characterized by the overall equilibrium of O-isotope fractionations between phosphate and water. Even if P undergoes both biological and abiotic cycling in an ecosystem, a distinct trend of δ18Op evolution may be used to identify the extent of internal cycling. It means δ18Op values of phosphate in biotic systems provide information about bioavailability, extent of biological uptake of specific P phases and its cycling between phases. Isotopic composition of phosphate has been successfully used to understand various biogeochemical processes such as source tracking; bioavailability of specific P pools and preservation of ancient intra- and extra-basinal P sources including biotic and abiotic pathways of P cycling; sorption, desorption, and mineral transformation reactions; transport and remobilization of P in sediment columns; and pathways of organic phosphorus degradation. So far, several aspects of O-isotope systematics in natural systems have been characterized including isotope signatures associated with specific P pools in soil and sediments and cell respiration and other metabolic activities. All these basic research and promising results have verified that this tool could be applied as a tracer to address scientifically important and societally pressing issues P cycling in different environments.